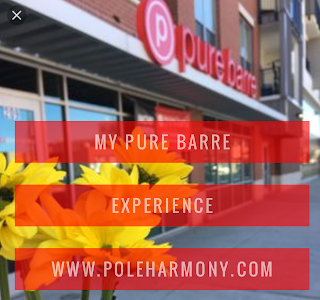 I decided to finally try out a Pure Barre class as part of my post-op back to aerial fitness recovery plan. 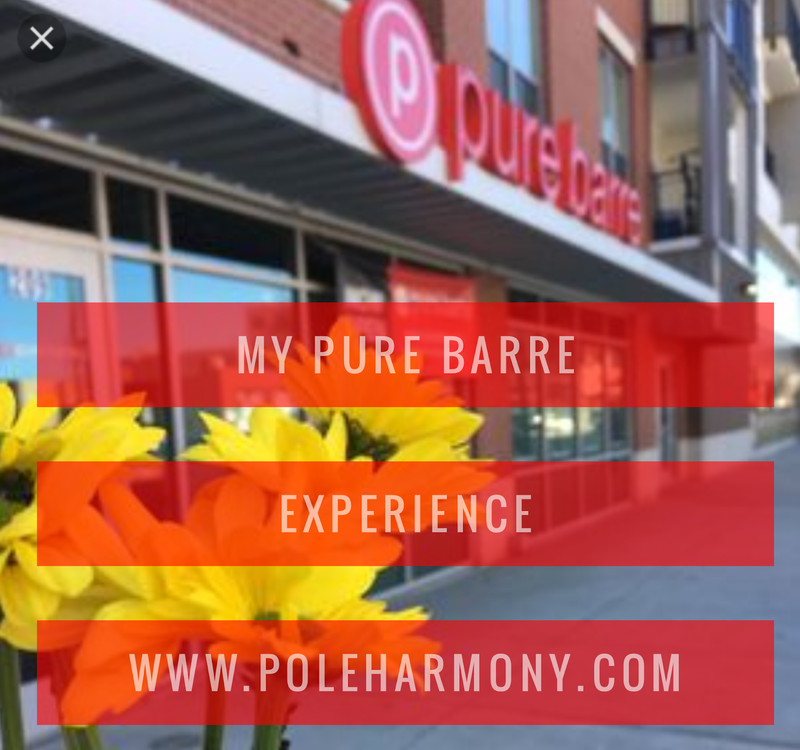 My local Pure Barre studio offers new clients a first week of free classes and since I haven't been teaching, I figured now was the perfect time to get in there and see what their technique is all about. My first class was a lot of trying to figure out the technique and lingo that everyone was accustomed to. The class runs with a quick pace from one exercise to the next. It started with a warm up that focused on the arms using weights. Beginners are encouraged to use the lightest weights available, which are 2 pounds. After my first two classes, I still think the 2 pounders are a bit much for me and I may actually need 1 pound weights. If the weights become too much, you can also opt to not use them or take a break from the weights and continue with just the arm movements. I have yet to perform the entire arm warm up using the weights the entire time. Future goals. The warm up then progresses from arms to cover both core and legs. After the warm up, the particular areas of focus each class works on are core, thighs, and seat. The class runs through a similar routine with slight changes based on who the instructor is that is running the class. The main equipment used during class are the weights for the warm up, resistance band, mini stability ball, mat, and the barre. 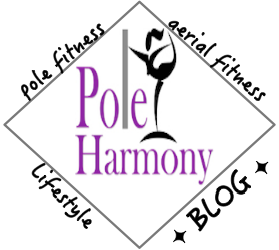 It is also recommended to wear socks and Pure Barre offers sticky socks in their retail area of the lounge. I ended up purchasing a pair of small sticky socks and since I forgot to bring a hair tie, I got these really cool spiral hair ties that resemble key chain chords called teleties. To get the most out of each exercise, the instructors prompt participants in form cues that engage particular areas of focus for that exercise. By engaging these areas, the participant will feel a huge difference in working the targeted muscle group. Pure Barre's slogan is "Lift. Tone. Burn." From my experience, I can vouch there is a lot of burn. And shaking. When you're doing the exercises correctly, you will experience muscle burning and shaking. THIS is good. This is what you want because it's working the muscles and conditioning them for the desired toning and strengthening effect. The whole reason you're doing the work out in the first place, right? Although it may not feel like what you signed up for and you're pretty certain the class is trying to kill you, just keep with it. It gets better. My second class felt a lot better than my first. I'm told it takes at least three classes for things to really click. Throughout the week, I will also be using my DeskCycle stationary bicycle to achieve my 10k+ steps. Next week, I plan on integrating some Cirque open gym time to work on the aerial silks. I need to go in to the aerial gym with a plan next week and as this week progresses, I will have a better idea of what my curriculum will look like. So stay tuned for my next week blog where I recap my progress and my plan moving forward as I get back in the air.